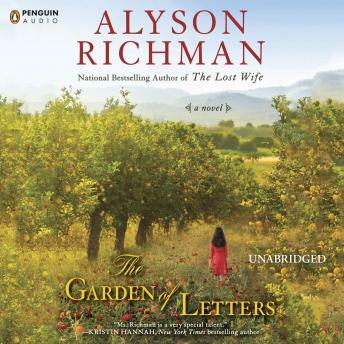 Set against the rich backdrop of World War II Italy, Garden of Letters captures the hope, suspense, and romance of an uncertain era, in an epic intertwining story of first love, great tragedy, and spectacular bravery. Portofino, Italy, 1943. A young woman steps off a boat in a scenic coastal village. Although she knows how to disappear in a crowd, Elodie is too terrified to slip by the German officers while carrying her poorly forged identity papers. She is frozen until a man she’s never met before claims to know her. In desperate need of shelter, Elodie follows him back to his home on the cliffs of Portofino. Only months before, Elodie Bertolotti was a cello prodigy in Verona, unconcerned with world events. But when Mussolini’s Fascist regime strikes her family, Elodie is drawn into the burgeoning resistance movement by Luca, a young and impassioned bookseller. As the occupation looms, she discovers that her unique musical talents, and her courage, have the power to save lives. In Portofino, young doctor Angelo Rosselli gives the frightened and exhausted girl sanctuary. He is a man with painful secrets of his own, haunted by guilt and remorse. But Elodie’s arrival has the power to awaken a sense of hope and joy that Angelo thought was lost to him forever.